International Dark-Sky Association (IDA) is pleased to solicit applications for the 2017 board of directors election. 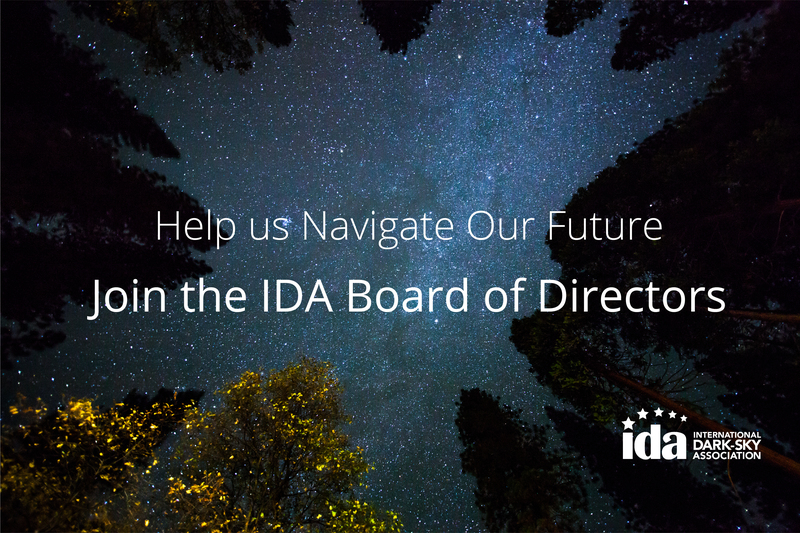 Because IDA board service constitutes a substantial commitment, we are seeking applicants who are excited, passionate, and dedicated to our cause. IDA’s current 11 Board of Directors range from early-career professionals to retirees, with nearly two-thirds of them women. We are dedicated to promoting a diverse workplace and governance structure, and encourage applications from currently underrepresented groups. Please apply before July 21, 2017. Thank you for your interest in becoming a member of the International Dark-Sky Association Board of Directors. The application process is now closed.